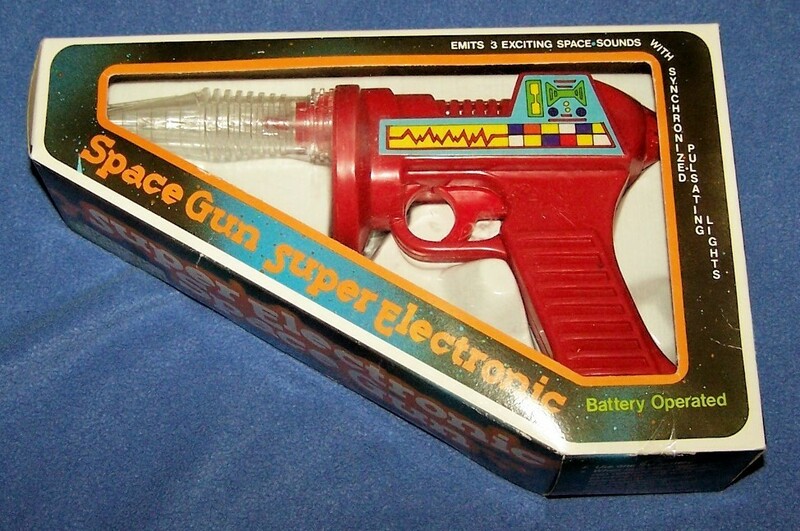 This toy laser gun was made in 1970-80's and was reissued for this movie release! 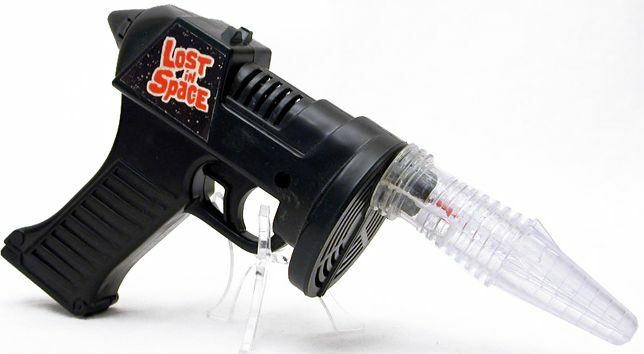 This was a promotional item to generate interest for the new film. 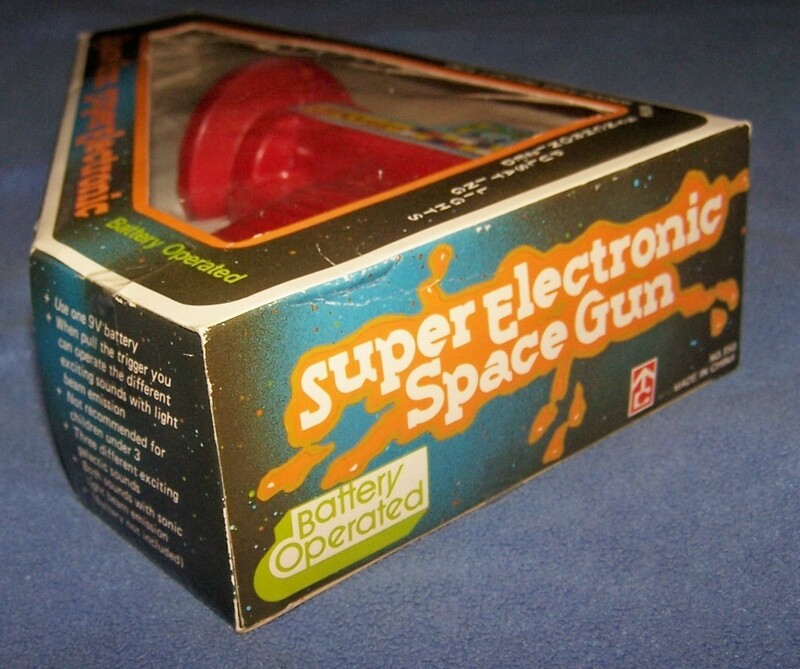 This item was very limited in production, and was never sold in the stores. 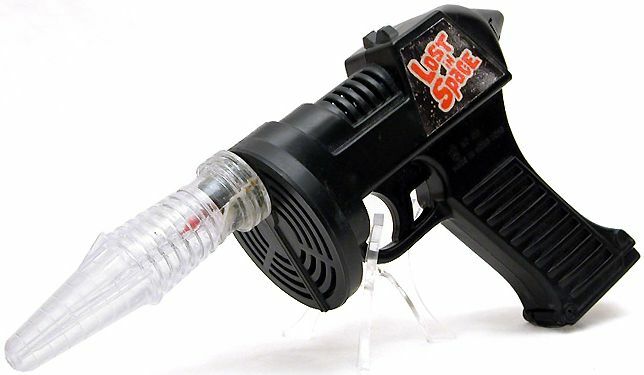 The gun lights up, and makes noises when activated. 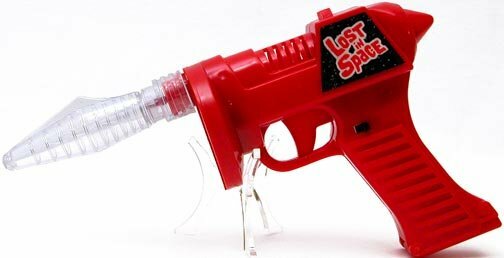 The strange thing about this item, they used an old LIS logo, instead of a new movie logo on this item? 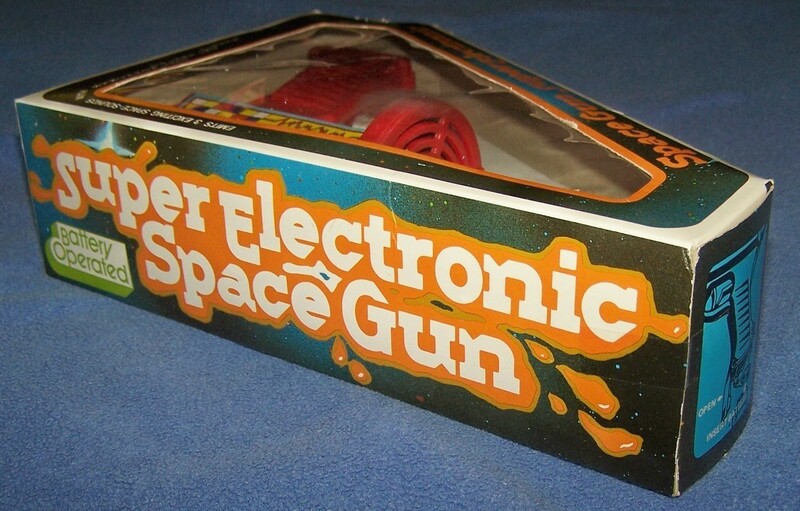 The gun is made of medal, and is made of high quality. 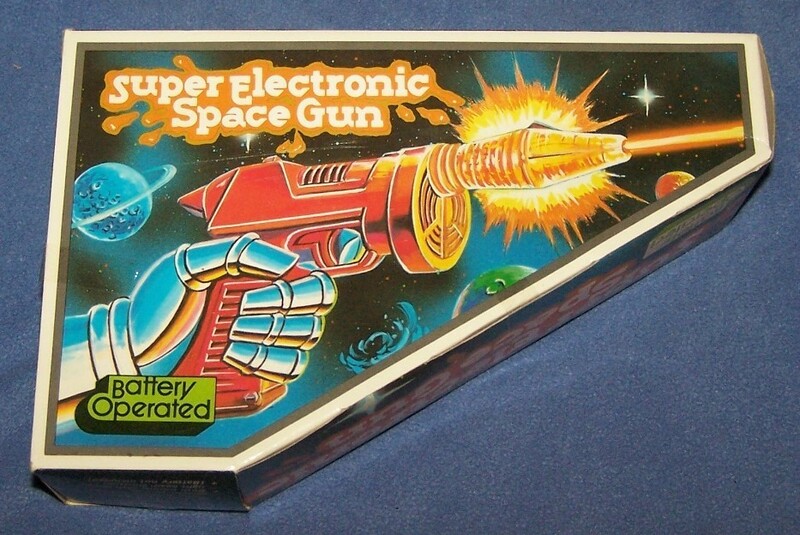 Several different color verisons were released on this toy, as shown.